I can hardly believe it is November and we haven’t had a frost yet in Chicago. 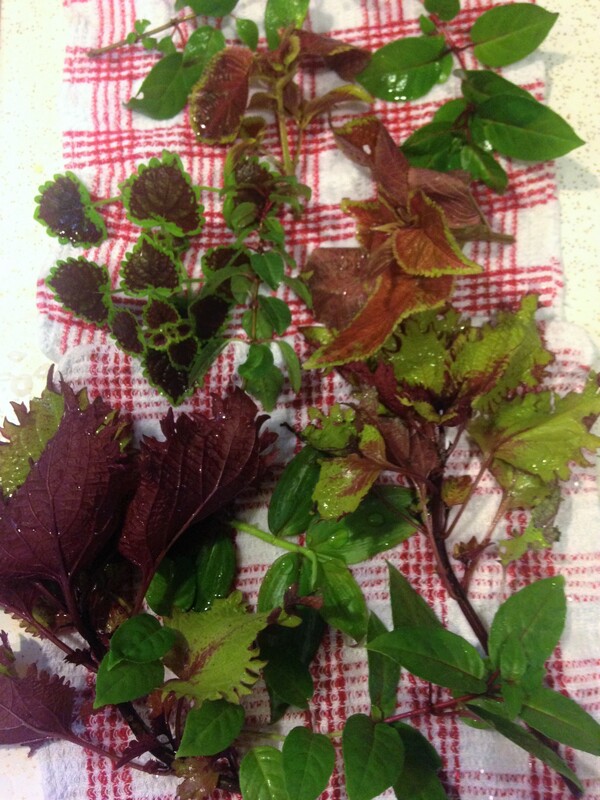 Tonight is to get pretty cold, 36 degrees; so, I’m taking some clippings of coleus, fuchsia, and wandering jew to root for next year. 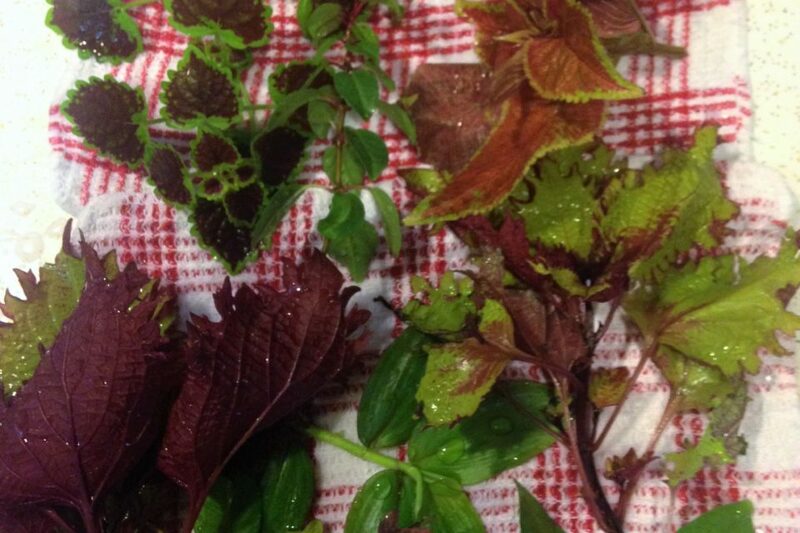 First step is to find some healthy parts of the plants growing in your garden. Things are looking pretty rough at this point in my garden. Takes a little time to find the best plants to clip from. 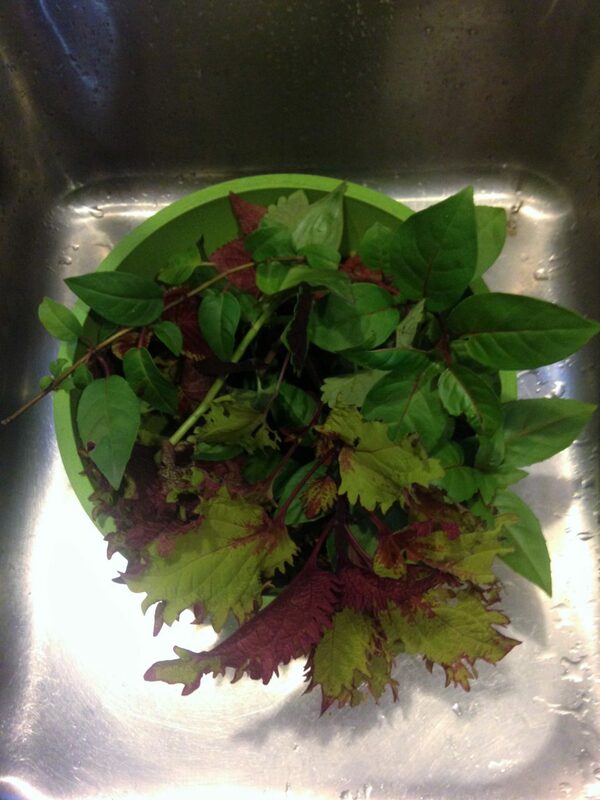 Second, thoroughly wash the clippings. No need to bring in any pests. 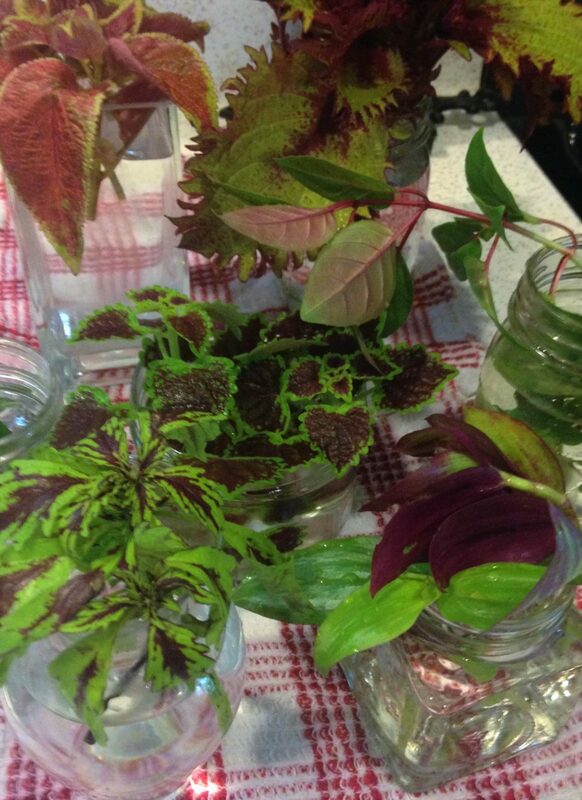 Third, place in glass jars filled with water and find a nice window sill for them to sit in. After they have rooted (some will take longer than others), pot them up. By Spring, your plants should be looking great to start next year’s garden.